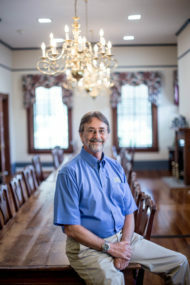 Tim joined Talquin Electric Cooperative in 2001 as Director of Water Services. Tim previously worked for Jim Stidham & Associates, Inc., for nine years as project manager/engineer, designing water and wastewater systems all over the southeast. Tim has a Bachelor Degree of Civil Engineering Technology which he received from Southern Technical Institute in 1981 and is a licensed surveyor. Tim has been very active in the National Drinking Water Contest and resides in Tallahassee.